When you have a fondness for steampunk as I have, two authors above all others are cited as influences on the sub-genre: Jules Verne and H. G. Wells. The former brings the influence of technology as a springboard for great advancement and adventure, whilst the latter brings the more socially aware aspect of science fiction to the genre. As such, it's a little embarrassing that until now, I had read neither of their works. Seeking to fix that for at least half of these important writers, I picked up a collection of From the Earth to the Moon and Around the Moon by Jules Verne. And at the halfway point, how does the writing stand? From the Earth to the Moon follows the Baltimore Gun Club, a collection of men known and respected throughout the United States for their innovations in the field of firearms and artillery. But, with the American Civil War over, their golden era appears to be coming to an end, as there is no need for overpowered cannons until war breaks out again. At their lowest point though, the club president, Barbicane, presents an idea for an experiment that will test the Gun Club's credentials: they will attempt to build a cannon powerful enough that you could send a projectile to the surface of the moon. And with that announcement, a furore spreads across America and the world. This is a rather strange book to read, for several reasons. The first thing that I will mention though is the focus of the narrative. It isn't the firing of the projectile to the moon, which happens less than 20 pages before the end of the book. The actual narrative focuses on the process of making the cannon and the projectile in the first place, with the moon-based shenanigans presumably taking place in Around the Moon. As such, it does feel weirdly paced, as this is the sort of prep work that books usually condense down to a paragraph or two at most. In From the Earth to the Moon, that prep work is pretty much the whole story, with chapters dedicated to steps such as: consulting with astronomers when the best time to fire said projectile would be when dealing with the moon's elliptical orbit, appealing for funding from overseas, and the process by which the cannon is forged, to name but a few. It's bizarre to read, but not necessarily a bad thing. You don't usually get into the world-building in quite such detail, and it is an interesting change from the norm. The problem with going into details is that from the perspective of the modern reader, whose concept of space travel is probably vastly different to that of a contemporary reader of Verne's, is that when the dodgy science turns up, it's a heck of a lot more noticeable. This isn't necessarily so obvious in the first half or so, where the intent is more or less to just shoot the moon to see if they can. When the French adventurer Ardan comes along insisting to be part of the experiment though, it becomes an attempt to send people onto the moon via the projectile. At that point, the suspension of disbelief becomes significantly harder, sometimes to the point of unintentional humour. They pack a year's worth of food rations but only enough water to last them a little more than the journey's expected length, because of course the moon has water on the surface. At some points it becomes a struggle to stop trying to figure out which part of their ridiculous plan will kill them first. In addition, there are some non-scientific points where the narrative takes a turn for the weirdly funny, again probably not intentionally. My personal favourite is where the three adventurers have to break it to the overly excitable secretary of the Gun Club that they won't have room for a fourth person on the voyage, only for the narrator to mention that the three men will be accompanied by a Setter and a Newfoundland. A Newfoundland is pretty much a tame bear, and Setters aren't that much smaller. But, while it is difficult to take seriously at times, I still couldn't help but enjoy reading it. Ignoring the unintentional laughs, it was nice to read some science fiction that wasn't about someone attempting to undo some great evil wrought through maliciously-applied science or some new technology going terribly wrong. Here, it was the process by which someone took a concept that seemed far-fetched at best, and by applying the best of what science understood at the time, achieved something fantastic. The science may be out-of-date, but the boundless enthusiasm for the endeavours of the human spirit is something of a breath of fresh air. 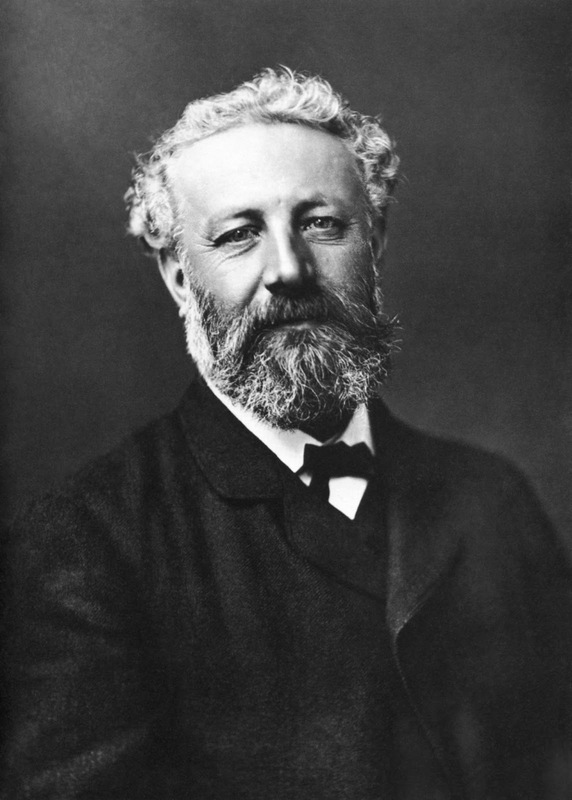 Next review: Around the Moon by Jules Verne.